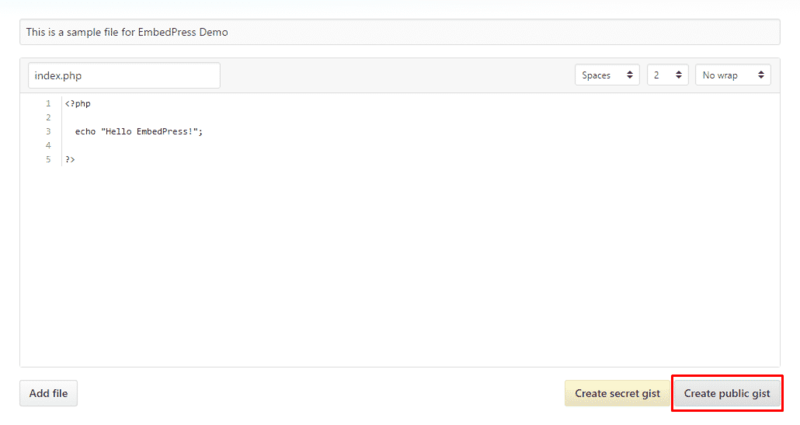 With EmbedPress, you can add Github Code to WordPress, using just a URL. Github is an enormously popular service that enable developers to upload/update & share source code online. Github embeds are possible, but they’re not easy to use via normal methods. EmbedPress is different. With EmbedPress, you don’t have to mess around with embed code. All you need is the Github Snippet URL. 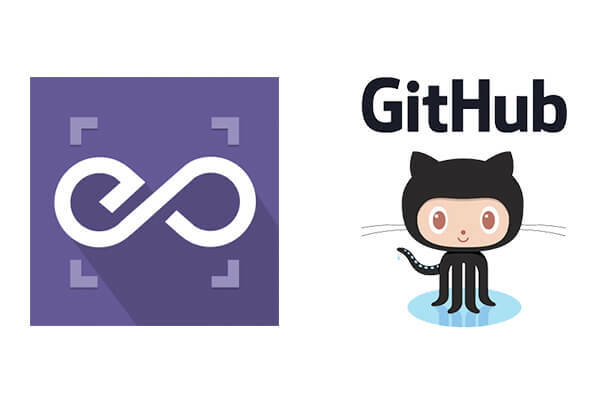 Here’s how to embed any Github into your WordPress site, using the EmbedPress plugin. Write your code, name your file with proper extension such as “Index.php” as shown below & click “Create Public Gist” button. Once your Gist is created, all you have to do is copy the URL to be used for EmbedPress embed. Now you have the Github Gist URL, you can add it to WordPress. Add your Github Gist URL into the content area, with the “Visual” tab enabled. Your URL will automatically be transformed into an embed of your Gist Embed.